Bake the perfect cookies or decorate beautiful cupcakes with this Cookie Press and Piping Gun Set. This baking set lets you create your baking masterpieces easier and faster. COOKIE DOUGH PRESS - Create unique and fun cookie shapes with this Cookie Press and Piping Gun Set. 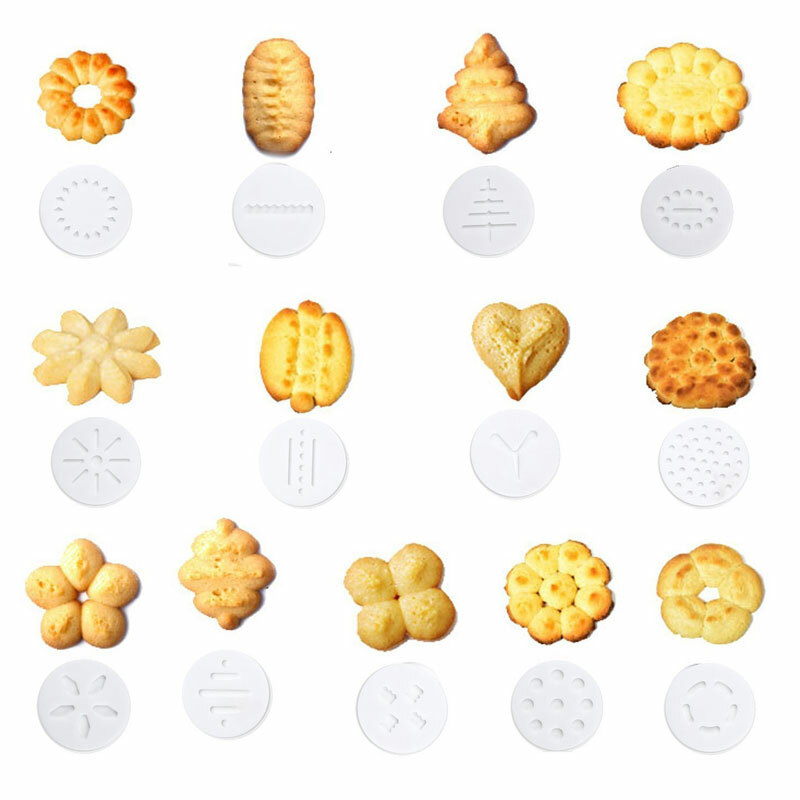 Just load the cookie dough inside the cylinder, choose your cookie shape, close the lid using the cookie press shape that you want and start pressing the dough onto your baking sheet. PIPING GUN - Decorate your cakes and cupcakes with this Cookie Press and Piping Gun Set. Pour in your icing into the cylinder and choose your piping nozzle. This baking set makes it easy to decorate your cakes, cupcakes and more. 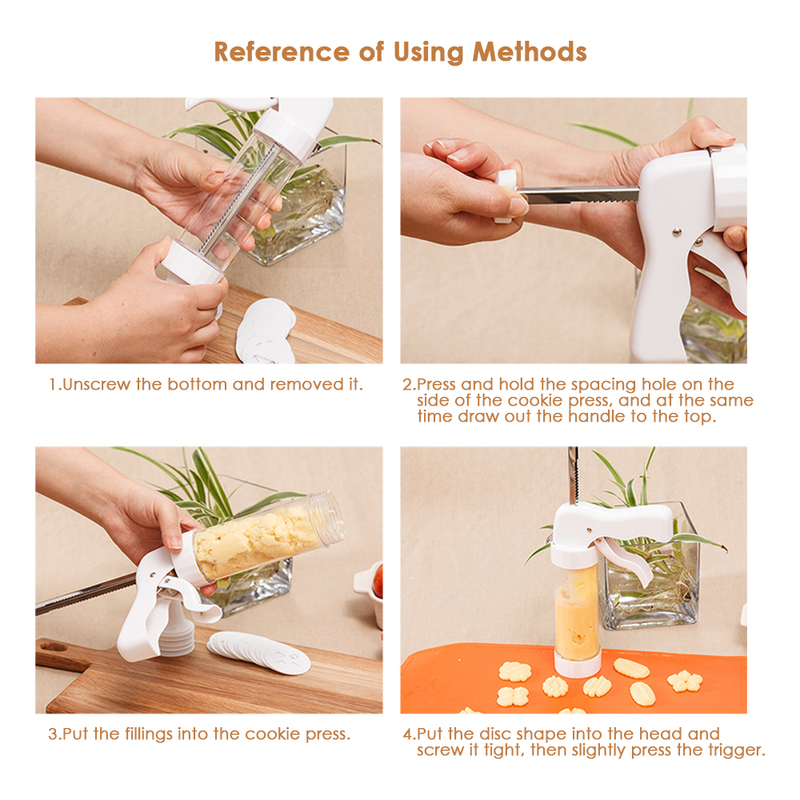 2-IN-1 BAKING SET - This Cookie Press and Piping Gun Set are easy to use and versatile, making preparations easy and quick. Prepare your cookies, cupcakes, and cakes with this baking set! 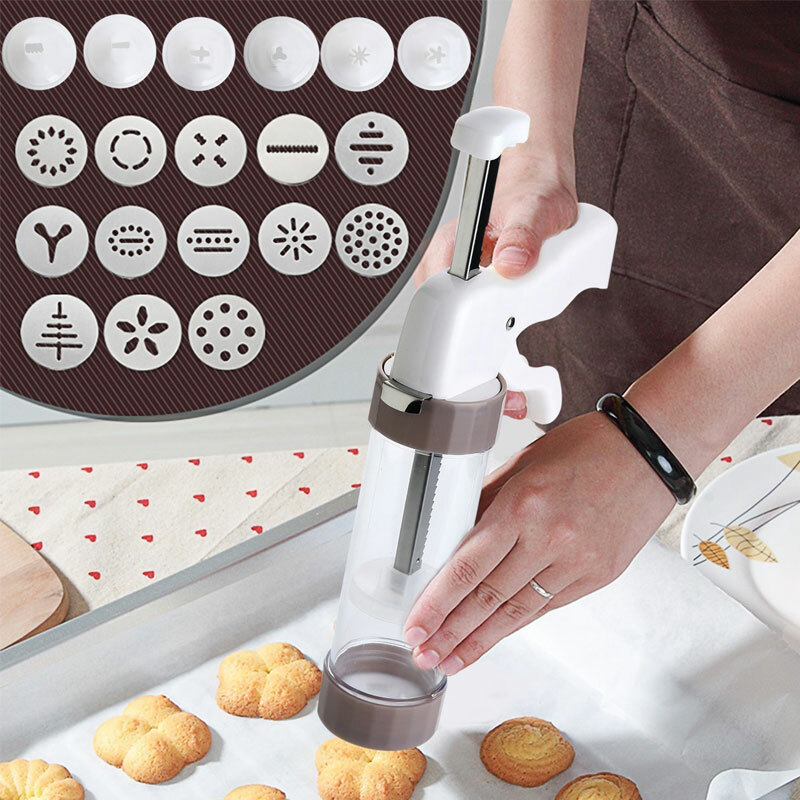 Add this Cookie Press and Piping Gun Set to your kitchen now!